Leading Manufacturer of exothermic weld for railway from Lucknow. We are engaged to offer wide range of Exothermic Welding for Railway. 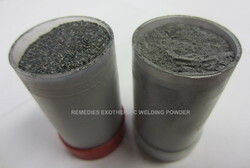 We have wide range of Exothermic Welding. These offered products are highly demanded in market due to their quality. Apart of this we offer our products in market with minimum cost.